Under a tentative deal reached between the oil company, a developer, and the city, the Citgo sign won’t become a landmark, but it will probably remain in place for decades to come. 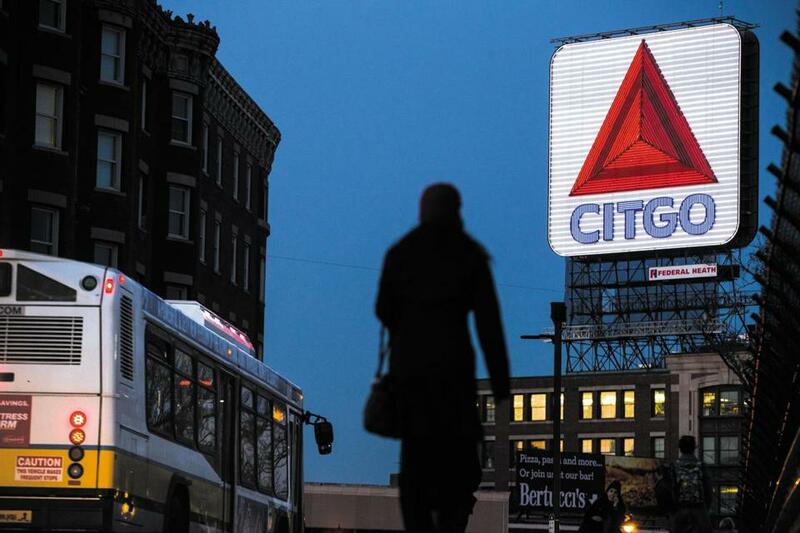 It looks like the Citgo sign will brighten the night around Kenmore Square for decades to come. And it may even be a little higher in the sky. But it won’t be an official city landmark. Mayor Martin J. Walsh vetoed a plan to grant preservation protections to the illuminated advertisement Thursday, after Citgo and developer Related Beal reached an “agreement in principle” on a lease that will keep the half-century-old sign in place for another 30 years. The deal came together, after years of haggling, in a flurry of City Hall meetings this week between Walsh administration officials and executives of the Venezuelan-owned, Houston-based Citgo oil company and Related, a New York-based development giant that bought a block of Kenmore Square buildings, including the one that holds the sign, from Boston University for $144 million. 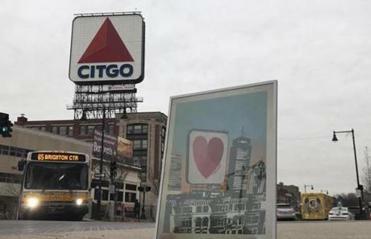 Final terms still need to be approved, but people familiar with the deal say that Citgo would pay a higher rent than it long did to BU but that the sign could be elevated by as much as 30 feet as part of a redevelopment of the block that Related is planning, boosting its visibility on the city’s skyline. “We are pleased to share that we have reached a long-term resolution that will preserve the Citgo sign and allow for it to remain in place in Kenmore Square for years to come, recognizing the significance that this sign has on our landscape in Boston, while balancing the opportunity for our horizons to continue evolving in future years,” the companies, Walsh, and Boston University — which still owns the land — said in a joint statement. The oil company’s profits support a government that starves its people. The talks began even before Related bought the buildings in 2016. They came to a head after a unanimous vote earlier this month by the Boston Landmarks Commission to declare the sign an official city landmark. Doing so would have made any changes to it subject to preservation review but could also have stuck Related with the sign should Citgo go out of business. Walsh faced a deadline this week to either veto the landmark measure or send it to the City Council for final approval. Landmarks Commission chairwoman Lynn Smiledge, who proposed making the sign a landmark and pushed the proposal through two years of review, said she was “disappointed” in Walsh’s veto but appreciated the broader result. Greg Galer, executive director of the Boston Preservation Alliance — which gathered 16,000 signatures urging the city to grant landmark status — said he, too, was glad the sign will be staying put. But he questioned the closed-door talks that led to Thursday’s deal, and the scarce details about what it entails. And, Galer pointed out, this isn’t the first time Related and Citgo have agreed “in principle” on a plan to preserve the sign. In March 2017, when Citgo’s lease was first set to expire days before the start of Red Sox season and the Boston Marathon, Walsh also forced both parties to sit down at City Hall, and they emerged touting an “agreement.” That deal, however, was never finalized. Related and Citgo continued negotiating rent, and the landmarking process got underway. This time, people familiar with talks said, executives from both sides have agreed to a detailed term sheet; they just need approval from boards and lawyers. City officials say they now have a stronger hand to force a long-term deal. With a thorough study already in hand, they could quickly move to designate the sign as a landmark should talks between Related and Citgo stall. Related this month won approval from the Boston Planning & Development Agency to redevelop the block of Kenmore Square, including construction of a 100-foot-high office building on the corner of Commonwealth Avenue and Deerfield Street. If it wants to build higher and elevate the sign, Related will need to seek new approvals, which would require another round of public review. Until then, preservationists — and other fans of the famous electric blinking triangle — will have to wait and see, Smiledge said.